Support Palestinian universities – spread the BDS campaign – it is what people under the Israeli jackboot ask you to do! At least three Palestinians have been killed after Israel conducted an air raid on the Gaza Strip. Medical workers said two people were killed at the scene of the attack on Thursday near the Israel-Gaza border and a third died later in hospital. An Israeli army spokesman said the raid targeted a group of fighters who had fired an anti-tank missile at troops across the border. Shortly after the attack, three rockets fired from the territory landed in southern Israel, the military said. There were no reports of casualties. The Islamic Jihad claimed responsibility and vowed to continue its attacks against Israel. “Our rockets and our resistance will not stop,” Abu Ahmed, an official of the armed Palestinian group, said. Raed al-Atamna’s family’s six houses were destroyed in the recent Gaza conflict, as well as the cars he uses to earn his living as a taxi driver. With nearly 3,000 families homeless, rented accommodation is scarce in Gaza – Mr Atamna’s pregnant wife and seven children are now staying with relatives, while he sleeps in a corrugated metal shack next to his ruined house. The Israeli military says it destroyed buildings because of “substantial operational needs”, for example because of booby traps or militants in them, but Amnesty International says “wanton destruction” occurred, in violation of international law. To see and hear the show, go to link above. Members of the highest-ranking American delegation to tour Gaza were shocked to discover that the Israeli blockade against the Hamas-ruled territory included such food staples as lentils, macaroni and tomato paste. Twenty months after becoming Middle East envoy for the Quartet, Tony Blair visited Gaza for the first time on Sunday. His visit came a day before international donors gathered in the Egyptian resort of Sharm el-Sheikh for a conference on the Gaza reconstruction effort. Mr Blair responded: “Well it can’t be, so we’re going to have to make sure that we get the blockade lifted and the crossings opened so that the material can come in. I’m mean, just literally a hundred yards or so, a couple of hundred yards from here is the sewage treatment plant which is absolutely necessary to put in proper shape, otherwise there will be people that will die as a result of not having it. And you need obviously the materials to come in. You need the steel, you need the cement, you need the other construction materials to come in in order to get it done. “So it wasn’t proportionate,” the interviewer suggested. “Well I don’t think it’s a – I don’t think anybody can come here and not be appalled at what has happened,” Mr Blair said. GAZA – We had already visited this house, belonging to the Abu Eida family. It is the only one of the family’s nine large houses that remained standing at the eastern edge of the city of Jabalya following Operation Cast Lead. The demolition of the family’s houses and its four cement factories spells the loss of 40 years of hard work. One Hebrew word scrawled on a wall tells the story of the 10 days when young Israeli soldiers became the ostensible prison wardens of five people. The youngest is Suheila Masalha, 55; the eldest is her mother Fatma, who is perhaps 85 or 90 or older. The only man is her brother Mohammed, 65, who is paralyzed and dependent on the women of his family. And there were two more women from the Abu Eida family – Rasmiya, 70, who owns the house, and her sister-in-law Na’ama, 56, who is blind. “Jail” (“mikhla’a” in Hebrew), wrote the soldiers on the wall of the room where they kept the man and the four women. They did not allow them to use the toilet, but forced them to use all kinds of plastic containers kept in the room, for nine of the days. Mauritania has expelled Israel’s ambassador and his staff from the country following a dispute over the recent war in Gaza, Mauritanian and Israeli officials have said. A senior Mauritanian official said that the authorities had given staff at the embassy “48 hours to leave the country”. Israeli foreign ministry officials confirmed the decision, and said Israel closed down its embassy in Nouakchott, Mauritania’s capital, on Friday at the request of the Mauritanian government. The official spoke on the condition of anonymity because Israel’s foreign ministry had yet to release details. It was not clear if the embassy closure was temporary or permanent. WASHINGTON, Mar 5 (IPS) – The arguments for maintaining a major U.S. combat force in Iraq at least through 2011, escalating U.S. military involvement in Afghanistan and assuming a confrontational stance toward Iran appear to assume that the United States remains the dominant military power in the region. But the pattern of recent history and current developments in the region has not supported that assumption. Not only has the United States been unable to prevail over stubborn nationalist and sectarian forces determined to resist U.S. influence, but it has not been able to use its military supremacy to wage successful coercive diplomacy against Iran. Furthermore, even the ability of the United States to maintain troops in Iraq and Afghanistan turns out to be dependent on regimes which are by no means aligned with the United States. Six years ago, after the United States had removed the Taliban regime in Afghanistan and Saddam Hussein in Iraq, the U.S. appeared to be militarily dominant in the region. Apart from its nearly 200,000 troops in Iraq and Afghanistan, the United States had surrounded Iran with a network of airbases scattered across the region from the Persian Gulf sheikdoms through Iraq and Afghanistan to the Central Asian republics of Kyrgystan and Uzbekistan, along with aircraft on U.S. ships in the Persian Gulf. Since 2003, however, events in the region have dealt a series of blows to the assumption that the U.S. military presence in general and ground forces in particular confer real power in the region. The first blow was the U.S. failure to subdue the Sunni insurgency in Iraq. By mid-2005, U.S. commanders in Iraq were admitting publicly that the U.S. military occupation was generating more resistance than it was eliminating. The next blow was the Sunni-Shi’a civil war in Baghdad in 2006, which U.S. troops were unable to prevent or stop, even after the Bush “surge” of additional troops. The “cleansing” of Sunni neighbourhoods in Baghdad by Shi’a militias with the tacit support of the government ended only after a large swath of Sunni neighbourhoods in the capital had been taken over. That fact contradicts the later boast by Gen. Ray Odierno, the top U.S. commander in Iraq, that “coalition forces” had “broken the cycle of sectarian violence in Iraq”. Police are targeting thousands of political campaigners in surveillance operations and storing their details on a database for at least seven years, an investigation by the Guardian can reveal. Photographs, names and video footage of people attending protests are routinely obtained by surveillance units and stored on an “intelligence system”. The Metropolitan police, which has pioneered surveillance at demonstrations and advises other forces on the tactic, stores details of protesters on Crimint, the general database used daily by all police staff to catalogue criminal intelligence. It lists campaigners by name, allowing police to search which demonstrations or political meetings individuals have attended. Disclosures through the Freedom of Information Act, court testimony, an interview with a senior Met officer and police surveillance footage obtained by the Guardian have established that private information about activists gathered through surveillance is being stored without the knowledge of the people monitored. Police surveillance teams are also targeting journalists who cover demonstrations, and are believed to have monitored members of the press during at least eight protests over the last year. In the wake of Israel’s attack on Gaza, eager voices are telling us that anti-Semitism has returned – yet again. Eight years of Hamas rockets and the world unfairly cries foul when Israel retaliates, they say. Biased media are delegitimising the Jewish state. The Left attacks Israel as uniquely evil, making it the persecuted Jew among the nations. Even theatres keep wheeling out those anti-Semitic stereotypes, Shylock, Fagin and the “chosen people”, just to torment us. If this bleak picture were an accurate portrayal of what Jews are experiencing today, who could deny that suffering is the determining feature of the Jewish condition? In most Jewish circles, if you pause to question this narrative and suggest that it might be exaggerated, that it unrealistically implies a level of dreadfulness and victimhood unique to Jews, you’ll attract hostility and disbelief in equal measure, and precious little public sympathy. But in the work of Professor Salo Baron, probably the greatest Jewish historian of the 20th century, we find powerful justification for just such a questioning. Professor Baron spoke out angrily against what he called the “lachrymose conception of Jewish history”, which placed suffering at the centre of Jewish life. “Suffering is part of the destiny” of the Jews,” Professor Baron said in an interview in 1975, “but so is repeated joy as well as ultimate redemption.” Another distinguished historian, Professor Yosef Hayim Yerushalmi, said Baron always fought against the view of Jewish history as “all darkness and no light. He laboured mightily to restore balance”. The Obama administration plans to expand a programme to bolster Palestinian President Mahmoud Abbas’s security forces in the occupied West Bank as part of a push for statehood, officials said on Thursday. Israel has given tentative backing to the programme as a test of Abbas’s ability to rein in militants, one of its main conditions in stalled U.S.-backed negotiations over establishing a Palestinian state. Hamas Islamists, shunned by the United States and other Western powers for refusing to recognise Israel and renounce violence, have denounced Abbas’s forces as collaborators and say the programme has fuelled inter-Palestinian tensions. U.S. and Western officials, speaking on condition of anonymity, said the Obama administration planned to boost security assistance, including funding for training conducted by Jordanian police at a base near Amman, by up to 70 percent, from $75 million in fiscal year 2008 to as much as $130 million. The State Department had no immediate comment. President Barack Obama has been vague about his policies in the region. After talks with Palestinian leaders in the West Bank city of Ramallah on Wednesday, U.S. Secretary of State Hillary Clinton pledged to work with Abbas to address Palestinian security needs, but she has offered no details. At a donors’ conference in Egypt on Monday, Clinton pledged $600 million to support Abbas’s Palestinian Authority and $300 million for humanitarian aid in the Hamas-ruled Gaza Strip, which was devastated by a three-week Israeli offensive. Diplomats said it was unclear when the new money would arrive. Winning congressional approval could take months. Obama’s envoy to the Middle East, George Mitchell, has asked Lieutenant General Keith Dayton, the American who has been overseeing the training of Abbas’s forces, to stay on for two more years. Dayton, whose three-year assignment was due to end, has agreed, diplomats said. The move comes ahead of power-sharing talks between Mr Abbas and his rivals Hamas, who control the Gaza Strip. Mr Fayyad’s resignation would pave the way for the formation of a national unity government, but he will not step down until that happens. The move is being seen as conciliatory, as Hamas had demanded his departure. The BBC’s Tim Franks in Jerusalem says Mr Fayyad’s resignation appears to be part of the careful choreography aimed at the creation of a new Palestinian government of national unity. But he will not actually step down until that government is in place, and there is no guarantee of that, our correspondent says. Delegations from Fatah and Hamas, as well as other Palestinian groups, have set up committees to look at forming a unity government and holding elections. Fayyad was appointed prime minister by Western-backed Palestinian President Mahmoud Abbas in June 2007, in response to the violent takeover of Gaza by the Islamic militant Hamas. Abbas and the Fayyad government control the West Bank, while Hamas continues to rule Gaza, despite a recent three-week Israeli military offensive there. The UK Foreign Office has dropped plans to move the British embassy in Tel Aviv into a skyscraper because of concerns over the building owners. A spokeswoman said it was not satisfied with the company’s involvement in settlement activity in the West Bank – which contravenes international law. Israel’s ambassador to London said the decision was “appeasement to those who slander Israel”. The UK has recently moved to toughen its policy towards Israeli settlements. The Foreign Office said that moving the British embassy’s location in Tel Aviv had been considered for years, with a plan to take over three floors in a skyscraper in Tel Aviv. But last year pro-Palestinian groups began campaigning against the move, saying that the new building was part-owned by Africa-Israel Investments Ltd, a company which had built in the occupied Palestinian territories, in contravention of international law. Palestinians in the West Bank and Gaza suffer from an “ailing landscape” of health services, a new study claims. The Lancet medical journal report highlights how 10% of Palestinian children now have stunted growth. The paper describes the healthcare system in the Palestinian territories as “fragmented and incoherent”. An Israeli government spokesperson said the Lancet had failed to seek its view, and said many Palestinians had accessed medical care in the country. Mark Regev, a spokesman for the Israeli government, called the report one-sided. He said: “This is propaganda in the guise of a medical report.” Experts from Birzeit University say death rates among children and expectant mothers have failed to decline in recent years. The plateau is in spite of good ante-natal care and high rates of child immunisation. One of the creators of Oscar-nominated animation Waltz With Bashir has made a short film to alter Israeli perceptions of Palestinians in the Gaza Strip. A 90-second film Closed Zone has been launched online in support of the human rights group Gisha, which advocates freedom of movement for Palestinians. It shows a Palestinian boy chasing a bird but having his path blocked. About 1.5 million Palestinians live in Gaza, which has been under a tight Israeli blockade since July 2007.
according to Hassanain and Islamic Jihad spokesman Abu Ahmed. ‘Apparent IAF Strike”? Do they know somrthing we don’t? Maybe another air force is involevd? Maybe it is further tampering by extra-terrestrials, perchance? “The task to strengthen the nuclear non-proliferation regime in the Middle East remains urgent. We consistently advocate this region to become a nuclear-weapon-free zone, and eventually, a zone free from all other types of weapons of mass destruction,” he said. Another move by the Russian anti-semites, who are agaiunst the Israeli bomb just because it is Jewish. How disgusting! What is wrong witha nuclear Middle East? 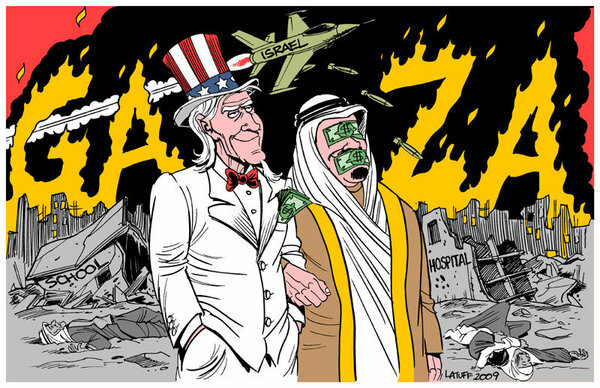 The west would not support the Israeli bomb if it was wring, would it? Sipport a Nuclear Middle East! There are many reasons why Israeli students do poorly on international math and science exams, but one sticks out because it is so simple: Doing well on these exams is not our education system’s goal. “Advancing educational achievement” is only 12th on the Education Ministry’s list of goals. Israel’s education system is like the team that walked onto the field without practicing, and was surprised it didn’t win the championship. The low marks are not evident only in international competitions: The education system is having trouble increasing the matriculation rate (which is less than half the number of students eligible to take the exams), despite the continuous lowering of educational standards and requirements. In the debate over education quality, two sides are facing off: The “business management” advocates, who want to compensate teachers based on results; and the teachers unions, which are demanding raises and smaller class sizes. Education researchers say that teacher quality has the greatest impact on student achievements, but the debate rests on how to develop quality teachers. Nothing wrong with Israeli schools, if you ask me. Don’t they provide eager troops, ready to kill and maim? Don’t thery educatea nation of racists well? You do not need maths and science for the important tasks of destroying Palestine. Washington at the beginning of the Obama era has the feel of a city that has just been liberated from foreign occupation, or of a person who just snapped out of an inexplicable psychotic episode. The paranoia of the Bush days has passed. The world is no longer divided into children of light and children of darkness. The standard assessment says that after his return to power, Benjamin Netanyahu will have a tense time when he visits Washington – just as he did during his first term when he faced a president who demanded that he advance a peace process. That assessment isn’t quite right – because this time, Netanyahu is likely to have an even more tension-fraught time than he did in the 90s. In his new term, he won’t be able to count on Congress as a counterweight to the administration in his relations with America. During his first visit to Washington as prime minister in 1996, Netanyahu spoke before Congress to repeated applause. The part of his speech praising deregulation and tax cuts helped him by warming the hearts of the Republican majority. Today that economic approach is correctly seen as the cause of a worldwide disaster, and the Republicans are a defeated minority. Economic spin won’t help Netanyahu build a responsible image. This is terrible news, really. It turns out that Bibi will be asked by Obamah to freeze the settlements! How shocking and unpredicatable! It only happened 487 times before, over the last four decades. Let the feeble-minded celebrate in the streets over this radical developemnt. If there is one thing we can be sure of, it is that Israel will do what it has always done – continue to build settlements… Presidents come and go, but the settlements still stand. U.S. Secretary of State Hillary Clinton on Wednesday blasted Israel’s plans to demolish Palestinian homes in East Jerusalem as a violation of its international obligations and “unhelpful” to Middle East peace efforts. “Clearly this kind of activity is unhelpful and not in keeping with the obligations entered into under the ‘road map’,” Clinton said, referring to the long-stalled peace plan. “It is an issue that we intend to raise with the government of Israel and the government at the municipal level in Jerusalem,” she added at a joint news conference with Palestinian President Mahmoud Abbas. Still reeling from the Israeli massacres in the occupied Gaza Strip, Palestinians have lately had little to celebrate. So the strong start to intra-Palestinian reconciliation talks in Cairo last week provided a glimmer of hope. An end to the schism between the resistance and the elected but internationally-boycotted Hamas government on the one hand, and the Western-backed Fatah faction on the other, seemed within reach. But the good feeling came to a sudden end after what looked like a coordinated assault by United States Secretary of State Hillary Clinton, European Union High Representative Javier Solana, and Fatah leader Mahmoud Abbas whose term as president of the Palestinian Authority (PA) expired on 9 January. On Friday 27 February, the leaders of 13 Palestinian factions, principal among them Hamas and Fatah, announced they had set out a framework for reconciliation. In talks chaired by Egypt’s powerful intelligence chief Omar Suleiman, the Palestinians established committees to discuss forming a “national unity government,” reforming the Palestine Liberation Organization (PLO) to include all factions, legislative and presidential elections, reorganizing security forces on a nonpolitical basis, and a steering group comprised of all faction leaders. Amid a jubilant mood, the talks were adjourned until 10 March. Then the blows began to strike the fragile Palestinian body politic. The first came from Clinton just before she boarded her plane to attend a summit in the Egyptian resort of Sharm al-Sheikh ostensibly about pledging billions in aid to rebuild Gaza. The Israeli invasion of Gaza, which has now claimed more than 1,400 lives, generated serious popular backlash the world over. The overwhelmingly weak official positions and statements, especially in the Arab world, stood in stark contrast to the outpouring of rage that was witnessed in the streets of capitals, cities, and towns across the globe. However, this recent wave of protests has a particular quality that differentiates it from past mobilizations: the initial flare-up of energy is being channeled into effective grassroots political action, primarily in the form of an ongoing campaign of boycott, divestment and sanctions (BDS). The tangible victories and rise of BDS activism immediately following Gaza are a direct result of the many years of often little-acknowledged organizing, building and mobilizing that was undertaken following the 2005 call from Palestinian civil society. It is important to look at these last four years in order to make sure that we continue to build on these victories. We have moved beyond questioning the efficacy of BDS and must now work to incorporate the growing numbers of people who, while outraged at the events in Gaza, are not yet connected to the BDS movement. We also must expand the actors and struggles involved in BDS by linking the Palestinian cause to other similar fights for social, economic and political justice. A number of commentators have already noted the mass mobilizations that occurred in response to Israel’s invasion of Gaza. Demonstrations and protests were undertaken on every inhabited continent involving millions of people across hundreds of cities. In the Middle East, Southeast Asia and Western Europe, where pro-Palestine demonstrations are typically strong, the numbers of participants and scale of actions were astronomical. 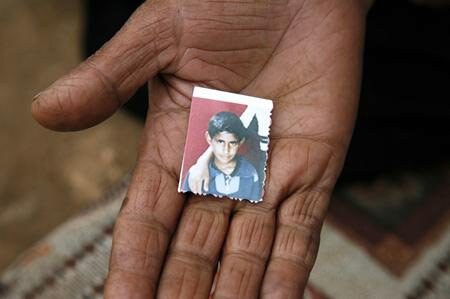 The only surviving photograph of 13-year-old Hammad Silmiya, taken when he was seven. 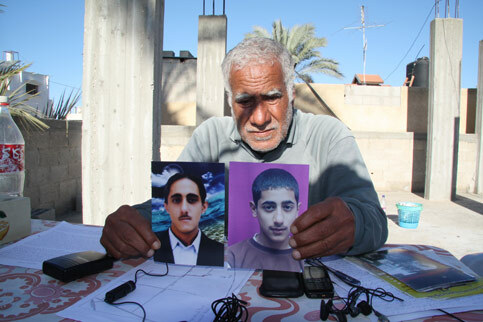 On 14 February 2009, almost a month after Israel declared a unilateral ceasefire in Gaza, 13-year-old Hammad Silmiya was grazing his sheep and goats in northeast Gaza, about 500 meters from the border with Israel. An Israeli military jeep patrolling the border opened fire on him and his teenage friends. Hammad was shot in the head and he died almost instantly. Hammad’s death barely made the news — just another casualty in the Gaza Strip, where civilian injuries and deaths continue to mount daily. His family had already endured the killing of Hammad’s grandmother, his two cousins, aged four and 18 months, and the destruction of their homes and livestock during Israel’s offensive. “This is a farce!” Washington state senator Adam Kline could barely control his rage. It was a sunny August Friday in Seattle, and he had been standing outside the Madrona neighborhood farmers market waiting for the volunteers who showed up regularly, collecting signatures for Seattle ballot initiative 97. He would pass out a single sheet of paper listing truths, half-truths and outright fabrications, in an attempt to keep voters from signing the ballot initiative. What was in I-97 that had gotten this liberal Democrat from a diverse neighborhood of a progressive city so enraged? Seattle ballot initiative 97, known locally as the Seattle Divest from War Initiative, if adopted by voters, would have required the Seattle Employees’ Retirement Fund to divest its funds from companies who are directly involved in illegal wars and occupations in the Middle East. Of course, this would have covered Halliburton and other military contractors in Iraq. But I-97 didn’t stop there. It had the audacity to apply the same standards to companies involved in all illegal wars and occupations in the Middle East, including the apartheid wall in the West Bank, Israeli settlements in the West Bank (including East Jerusalem) and the Golan Heights, as well as a possible Israeli attack on Iran — all of them illegal under international law. Campaign volunteers had six months to collect almost 18,000 signatures from Seattle voters — equal to 10 percent of the votes cast in the last mayor’s race. Not surprisingly, they started at the anti-war events. But the days when the local anti-war movement could mobilize tens of thousands of people are long gone. The crowds were very supportive, but small. The campaign had been timed to coincide with summer activities — farmers markets, street fairs, gay pride parade, even Seattle Hempfest all fell within the signature gathering window. By September, the campaign had more than 18,000 signatures, with a month to go, and the possibility of a three-week extension after that. Having returned from Gaza, I am trying to come to terms with what I saw, what I heard and honestly, what I don’t think I will ever understand — the justification. While Israel’s recent offensive has been the most egregious of any historical attack upon the Palestinians in Gaza, it is just that, one of many. Gaza has been under Israeli bombardment and sanctions for decades. 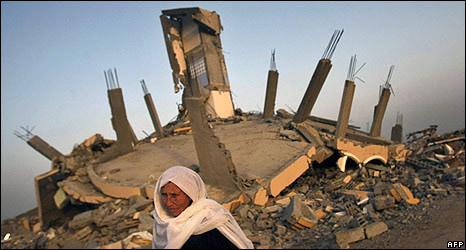 Prior to the Israeli pullout in 2005, Gaza was under complete Israeli control and occupation. Nearly 8,000 Israeli settlers occupied 40 percent of Gaza while the 1.5 million Palestinians occupied the remaining 60 percent. Settlements were located on the most fertile lands and along Gaza’s beautiful coastal regions and checkpoints prevented Palestinian mobility. Despite being one-fifth the size of Rhode Island, 25 miles long and 4 to 7.5 miles wide, Gaza was divided into three sections and Palestinians had to pass through multiple checkpoints to get from one section to the next. Often Israeli forces would close these checkpoints and not allow the Palestinians access to the other regions in Gaza as a form of collective punishment. The ground seems to have shifted, activists on all sides say. What they make of it varies.A shift toward more visible pro-Palestinian or anti-Israel sentiment has been profound on some campuses, prompted, in part, by the winter war in Gaza. Where some describe a corresponding disintegration of civil discourse or a scapegoating of Israel for a complex set of problems, others celebrate a newfound space in which to be critical of Israel — to mount a challenge to what they see as a dominant discourse, so to speak. The two perspectives don’t have to go hand in hand, but at times, they seem to. Take Emory University, for example, where about a third of undergraduates are Jewish. “The situation’s very interesting because in the past Emory was not a political school at all,” said Jessica Fraidlin, a sophomore involved with several Israel advocacy organizations, including Emory Students for Israel. “We’ve always had a very strong Jewish community, but we’ve never had an opposing side.” For the first time this year, Emory hosted several events as part of “Israeli Apartheid Week,” an annual, international campaign that ends Sunday. The slate of events included a rally, a talk titled “Understanding Apartheid: From South Africa to Israel,” and a lecture Thursday by Norman G. Finkelstein, a political scientist known for his harsh critiques of Israeli policies and “the Holocaust industry” (and, in higher education circles, for being denied tenure at DePaul University). Saba Khalid, a junior involved with Israeli Apartheid Week and a member of Emory Advocates for Justice in Palestine, said the group has not been well-received since its founding last spring. “We’ve actually had a lot of opposition, which is understandable, but very negative opposition,” Khalid said. Last semester, for instance, the group’s chalkings to promote “Week against the Apartheid Wall” were crossed out and replaced with anti-Arab scrawls like “Arabs Go Home,” she said. “If there’s an open forum and we go it turns into a shouting match,” said Khalid, adding that it’s a small handful of students who get the rest going.